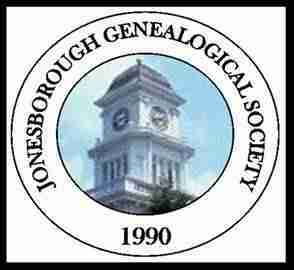 On Friday, May 17th, beginning at 9 am, the Jonesborough Genealogical Society along with many partner organizations will host the first Washington County, TN Heritage Fair in the town of Jonesborough. Heritage Fair is a three-fold event that includes a 5th-8th grade student poster competition, individual/organization exhibitions and presentations, and a living history timeline throughout Tennessee’s oldest town. The society has begun to accept entries on the society’s website at jgstn.org/annual-heritage-fair/ for the 5th-8th grade competition and the individual/organization exhibitions and presentations. The 5th-8th grade competition is open to any private, public, or homeschool student who lives with in Washington County’s bounds and is in 5th-8th grade. Guidelines, categories, and eligibility for this competition is also available at the society’s website. Students will be judged by a judicial panel in each of the three categories including family history, local history, and conservation/preservation projects. Students will place in 1st, 2nd, and 3rd place at grade level, as well as a more defined competition for those who placed to received best in each category. The students who win this competition, will compete for Best in Show for the day. Heritage Organizations have come together to provide the teacher who’s student wins Best in Show with a $500 cash prize for their classroom. Deadline for entry is Friday, March 1st. In addition, entries are being accepted for the individual/organization exhibitions and presentations. Knowledgeable individuals and heritage and cultural organizations of Washington County culture and heritage are encouraged to apply for a half table to provide information on their organizations and historical topics of choice and/or sign up to present a program, talk, or mini-workshop at the event. All information on the three-fold event is available on the society’s website at jgstn.org/annual-heritage-fair/. For more information on upcoming society events, projects, or membership, please visit our website at jgstn.org or email at [email protected].